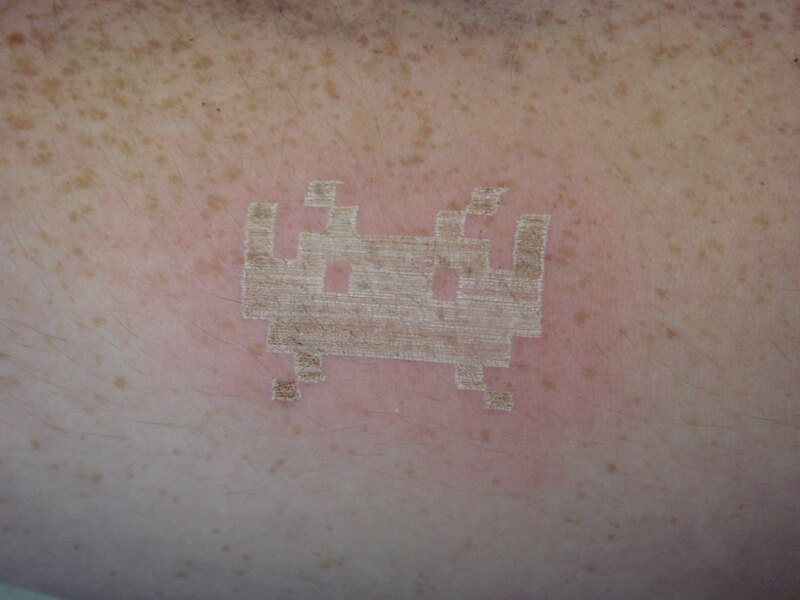 Sometimes you need to make the mark of the geek on your body and you just don’t want to make the trip down to the tattoo parlor. You look over and notice the laser engraver sitting in the corner (c’mon guys, we’ve all got one, am I right?) and the gears in your head start turning. Next thing you know your arm is in the chamber of the laser engraver and you’re gritting your teeth in anticipation as your finger hovers over the “Start” button. You take a deep breath and push the button. As the nerves scream and the smell of burning flesh drift out of the box you wonder if the Bene Gesserit are testing you. I can only imagine what else was going through Instructables user Tetranitrate’s head as he sat for this process a couple times. 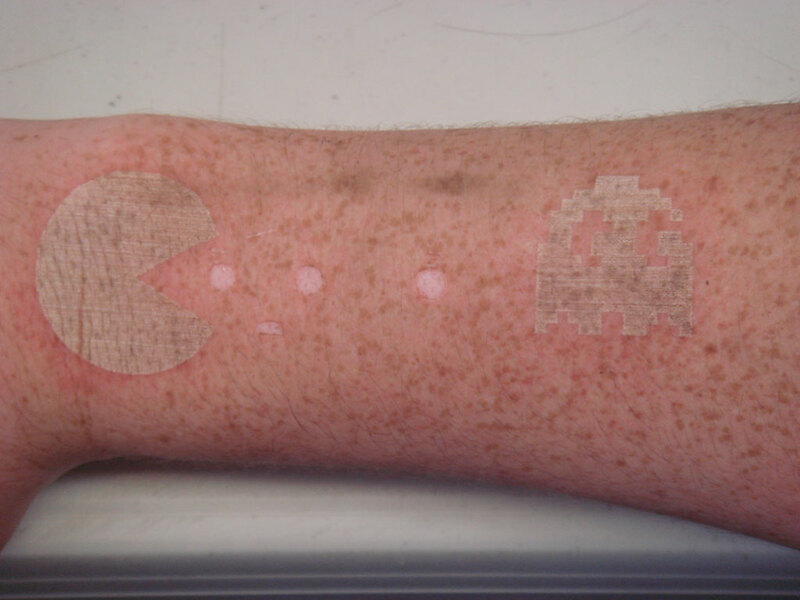 When it was all said and done, he had a Space Invaders, Pac-Man, and Instructables logo marked on his skin, not to mention a handful of Wingdings tattoos on his fingers. 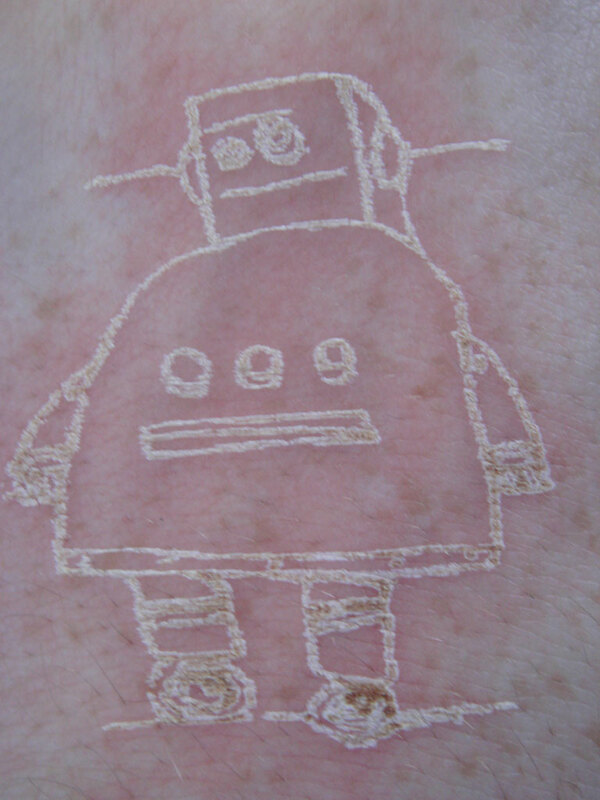 Hey, wait a minute, aren’t lasers for removing tattoos?! 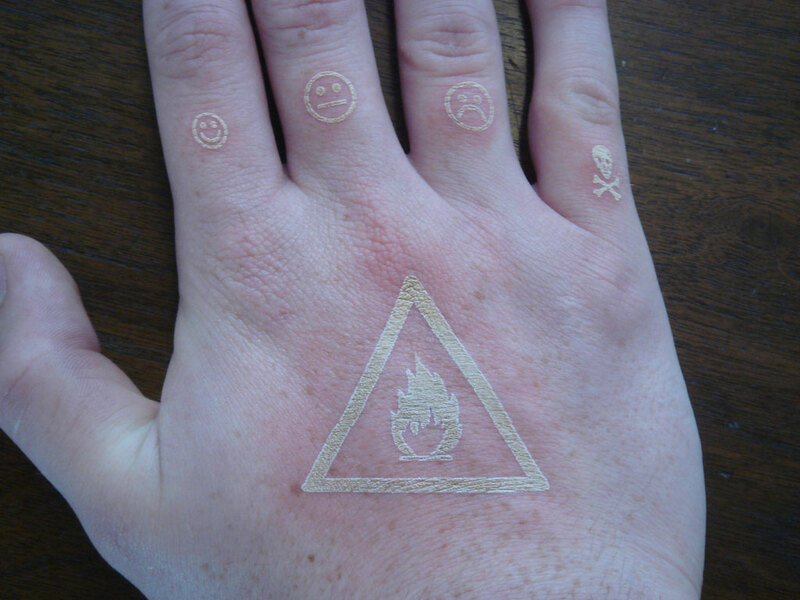 Posted in Logos, Tattoos, Video, Video Games. 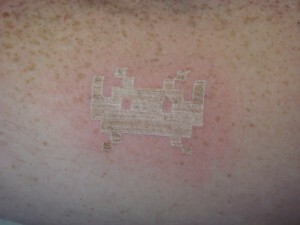 Tagged with branding, laser, Logos, pac-man, space invaders.